Functioning air conditioning and heating in your car or truck is integral to a comfortable driving and riding experience. If your ac or heat is starting to slow down or show any signs of trouble, the auto ac & heat repair specialists at Four County Import Center are here to help. Our ASE certified mechanics are experienced in a/c & heat maintenance and repair for all makes and models of vehicles. 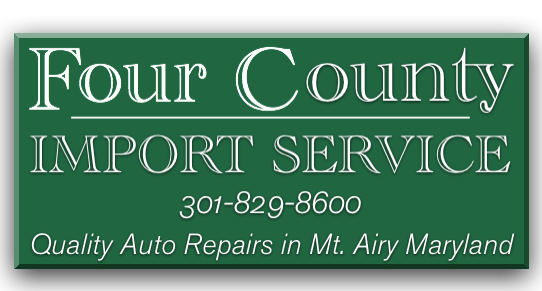 We proudly serve drivers with quality auto a/c repair and heat repair in Mt. Airy, MD, and surrounding Frederick County, Montgromery County, Carroll County, and Howard County. Give us a call at 301-829-8600 or stop in today!